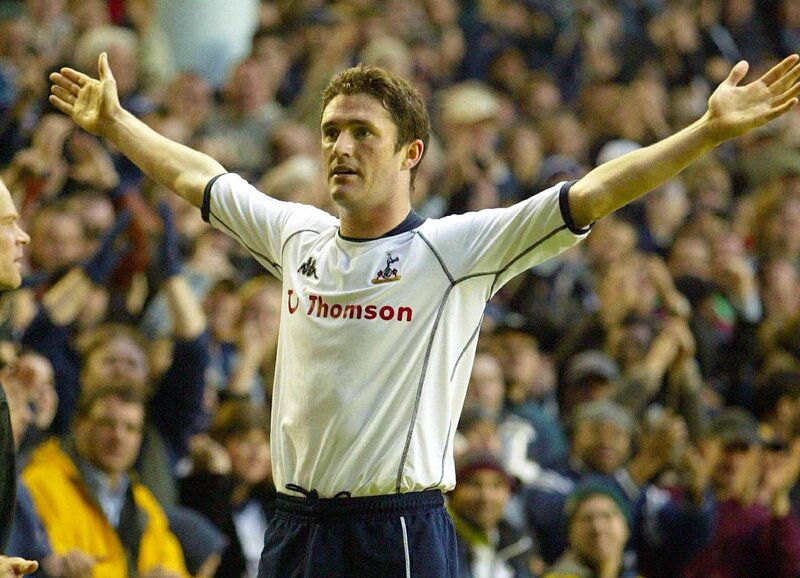 Keane had settled well at Tottenham following his move from Leeds United and scored his first goal in his fifth match as Spurs won 2-1 at Blackburn. But despite a spattering of impressive performances, it wasn’t until the first month of 2003 that the Irish star lit up White Hart Lane with a stunning hat-trick against Everton. It was the first of three career Premier League trebles (vs Wolves, December 2003 and Burnley, September 2009) the number 10 celebrated with his trademark cartwheel and roll combo. He ended his debut campaign as the north London side’s leading scorer and was voted Player of the Year.